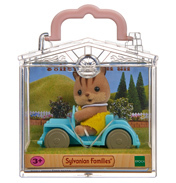 Welcome to the huge range of Sylvanian Family Figures here at World Wide Shopping Mall. 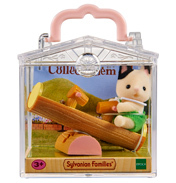 The Sylvanian families are a popular brand of doll figures. 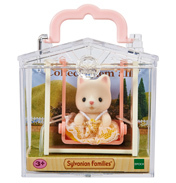 First introduced in 1985 they have taken the world by storm, and girls can’t resist their adorable features! 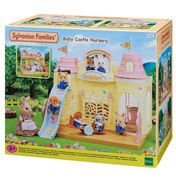 The figures are grouped into families, and most have baby twins that come in additional sets. 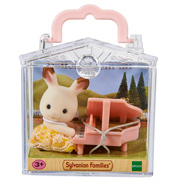 You can never have enough Sylvanian figures! 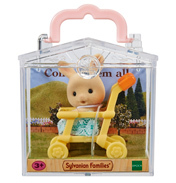 Here you will find a huge variety of different animals, along with some fabulous new additions! 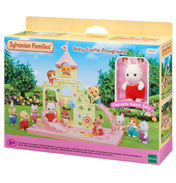 From dogs to bunny rabbits, you’re sure to find something you like! The Meerkat Family is one of the favourites. The father, Harry Spotter has brilliant eyesight, and that’s why he’s job is to look out for forest fires within Sylvania. 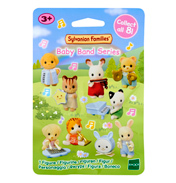 If you like these then you could get the Meerkat Triplets too! These little guys are so full of energy, but if they’re not play fighting or wrestling they will be curled up having a nap! 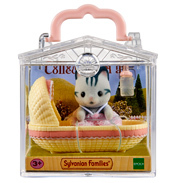 If you’re building a huge collection then don’t forget the older generation! There are many older figures available but a popular set is the Friesian Cow Grandparents. Mr and Mrs Buttercup are lovable and always full of surprises!